We made it to Grandma's house, and with reasonably limited difficulty. We endured broken airport elevators (stroller + carry ons + escalators = broken limbs), a plane the size of a Smart car, and the airline failing to produce two seats next to one another for me and my little one. (After boarding the entire plane while my little one and I waited on the sidelines, waiting with bated breath to see if we would even make it to Grandma's house, the ladies behind the counter worked some kind of magic and conjured two seats with a shared armrest in the front of the plane). And all of this without a nap! It was, of course, completely worth the minimal hassle and we are already snugly installed at Grandma's house, adjusting to the slow, Midwestern rhythm. We have many people to see this week, cookies to bake and stories to tell. And so this Mama is taking the week off, to play, to bake and to collect a whole new set of childhood memories. Have a peaceful Thanksgiving, Mamas! See you next week. The winter edition of Small magazine has arrived in my inbox and, as usual, it does not disappoint. 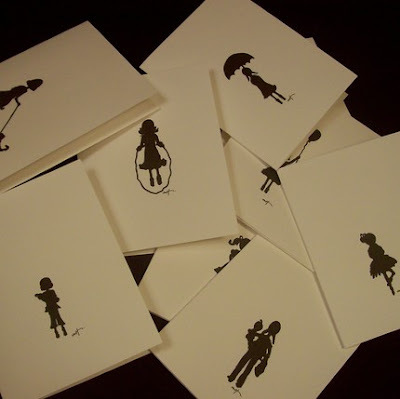 Packed with delicate illustrations, arresting photography, reviews of unique and unexpected books and, of course, some fun ideas, you'll want to set aside some time to flip through it. Dreamy, sartorial images from The Black Apple. 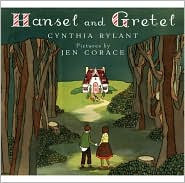 A review of the classic and decidedly macabre fairy tale Hansel and Gretel, retold with depth and affection by Cynthia Rylant and illustrated by the deceptively simple work of Jen Corace. 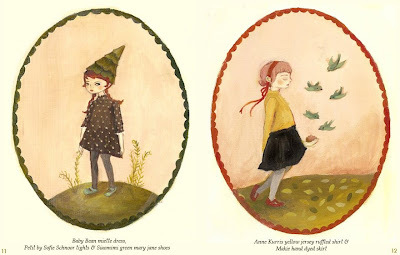 Her haunting images are a perfect fit for this creepy tale. Playful, ethereal photography by Steven Visneau. 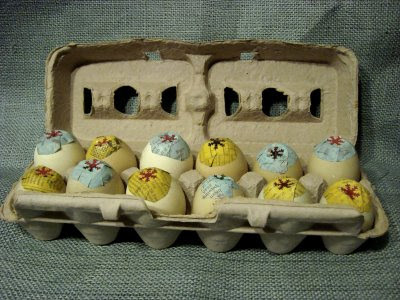 And a festive craft idea to help you ring in the new year with all the flair of a comedia del arte troup: confetti eggs, brought to you by the inspired woman behind maya made. We all know that giving feels better than getting. But in a season filled with extended shopping hours and every kind of abundance, how do you bring a little balance into focus for your kids? I've written before about volunteering as a family. 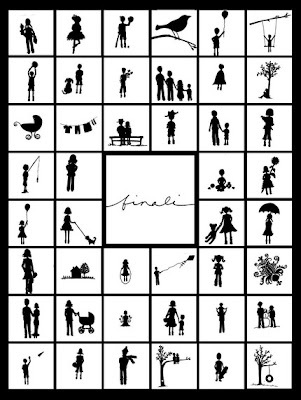 And Cookie Magazine has put together a terrific online guide to help families get started. The benefits of family volunteering are just about innumerable. Volunteering gives kids a real sense of accomplishment, while also offering them a new perspective. Perhaps best of all, it teaches kids (and adults!) that they can effect change in their world simply by giving of themselves, something that no amount of hours in front of a Wii will ever accomplish. It isn't about feeling guilty, or making less merry at this time of year. On the contrary, it's about spreading the joy of the season just a little farther. You'll make some meaningful holiday memories for your family, and maybe for someone else's, too. I'm a sucker for most holidays and Thanksgiving is among my favorites. I love everything about this holiday, the food, the family, even the football. Last year, I searved my first Thanksgiving dinner and, despite the amount of work, it was incredibly fun. It was fun to play Holiday Hostess in my own home, lay a beautiful table and cook a delicious meal for my appreciative houseguests. This year, we're going to grandma's house. But that doesn't mean I'm not still busy searching new and delicious recipes to add some sparkle to our holiday menu! Oprah has collected some celebrity chef recipes that you'll be thankful for, like these Pomegranate and Cranberry Bellinis from Giada De Laurentiis to get your party started. Mark Bittman's Bacon-Nut Stuffing sounds like heaven in a serving dish. Giada's Spicy Parmesan Green Beans and Kale are a great way to bring a side dish front and center. And David Waltuck (the wizard behind the divine Chanterelle) offers up a Pumpkin Mousse with Crunchy Gingersnaps and Maple Creme Fraiche that I swear is bringing happy tears to my eyes. If any of you decide to serve all four of these on your holiday table, can we skip grandma's and have dinner at your house? We'll help with the dishes! My favorite job ever (besides my current position as full time Mama) was one I worked many years ago, in my hometown, at the Toledo Museum of Art. (Yes, Toledo, Ohio has an art museum. And it is surprisingly terrific. I can say this with confidence, having spent countless hours since then inside the hallowed walls of the Met, the Louvre, the MoMA, etc., etc.). I was paid minimum wage to watch over a small gallery store, packed to the gills with the work of some very talented regional artists: Ethereal photographs of endless cornfields threatened by menacing skies, whimsical pop art like painted bicycles and mixed media murals, hand thrown pottery, delicate jewelry and, the belle of Toledo's ball, hand blown glass in just about every shape or color imaginable. Toledo, located in Northwest Ohio, spent the bulk of the 20th century known as the "Glass City." And the Toledo Museum of Art is a direct and lasting consequence of this glass boom. The Museum was started by glass magnate Edward Drummond Libbey, and it carries on the Toledo glass tradition, highlighting this utilitarian, changeable, delicate yet durable medium. 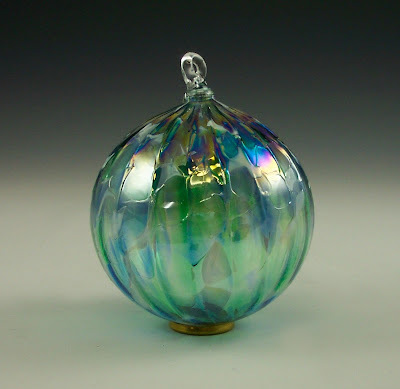 It was there, in that small gallery store in Ohio, that I learned to appreciate the beauty of hand blown glass. 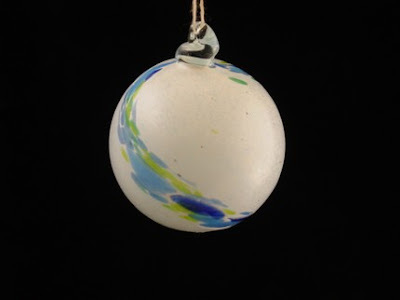 I have a small collection of blown glass ornaments that hang every year on my Christmas tree, sparkling in the lights, shining against the green branches, proud of their status as unique, singular works of art. 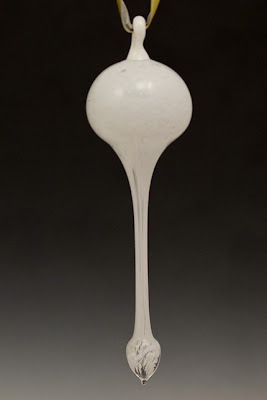 Nostalgic, I searched and found a few lovely hand blown works of art that I thought I'd share with you. 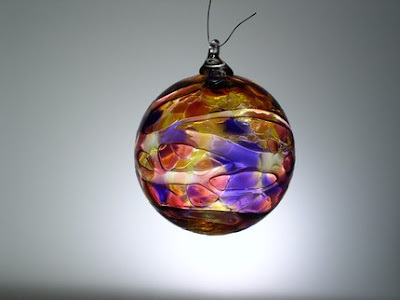 From AllGlassDesigns, also on Etsy. And from James Yarrito, one of my favorite Toledo artists, who I was fortunate enough to meet through my work at the museum. Congratulations Stace and Jennifer L! You ladies are the lucky winners of this fabulous Finali Design giveaway, Sugar & Spice and Mommy Mommy collections respectively. 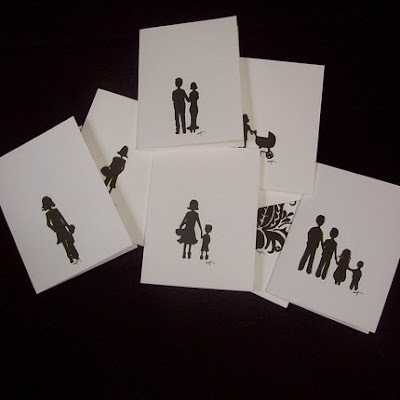 I can't wait to send you your winnings so please, email me your information and I'll have these pretty cards off to you! Thank you, Ali, for the generous giveaway! The holidays are officially right around the corner. As you begin making your lists, consider buying some gifts that will give twice as much. Unicef has some lovely, fair trade items on their site that are very affordable. 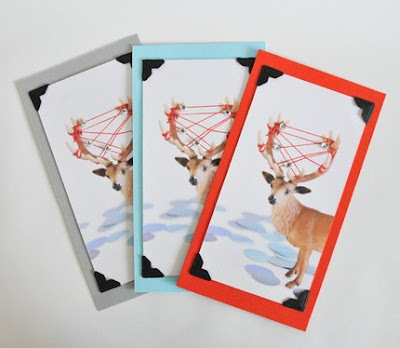 Get the most out of your gift giving this year by purchasing with a purpose. 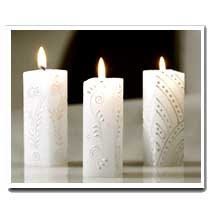 Kapula candles from South Africa. 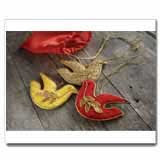 Silk dove ornaments from India. 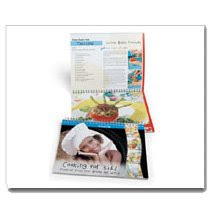 A kid-friendly cookbook filled with recipes from around the globe. 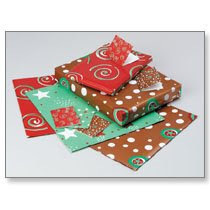 Wrap up your surprises with some charitable paper and matching tags. Tonight, as families gather to watch the returns, anticipation will rule. But a family still needs to eat, right? How does a Thousand Layer Lasagna sound? Like it might get you through the polls closing on the west coast? It's a vegetarian recipe from the inspired 101 Cookbooks, but it would be easy enough to add some meat to it, if you felt compelled to do so. Then, crack open a bottle of Montepulciano for the grown ups and watch the future unfold. The teacher-bloggers over at eensies have come up with some cute ideas to get your kids involved in the excitement tomorrow when you head out to vote. My favorite? Help them make buttons that say "I'll be voting in 2020" (or whatever year they'll be of age) that they can wear to the polling place with you. 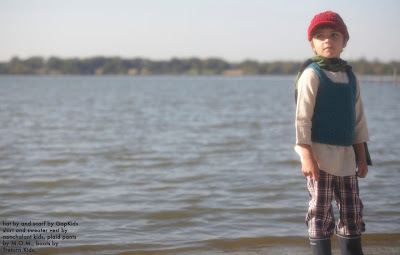 Any other great ideas you Mamas are employing to get your kids involved?